Licusati. The trio collaborated with many Italian musicians, including Enrico Rava, Paolo Fresu, Marco Tamburini, Pietro Tonolo, Fabrizio Bosso, Stefano Di Battista, Emanuele Cisi, Kenny Wheeler. In 1991, he went on tour in the former East Germany with the avant garde tenor saxophone player Matthias Schubert and Nicola Vernuccio on bass. From 1993 to 1997, he was a member of Italian saxophonist Maurizio Giammarco’s band Heart Quartet, recording for Soul Note and Blue Note. In 1996, he played with the Maurizio Giammarco’s jazz quintet (Paolo Fresu, Franco D’Andrea, Furio Dicastri) and a strings orchestra in Naples in Jazz at the Nuoro Jazz Festival. In 1997, he played with Dave Liebman in a tribute concert for Miles Davis, with Franco D’Andrea and Marco Micheli and Coltrane’s Meditations with his group. Moving to New York in 1997, he had the opportunity to discover a wide range of music as well as the ability to play lots of improvisational and experimental music. New York was a vital experience that created a lasting interest in experimenting with different types of music. 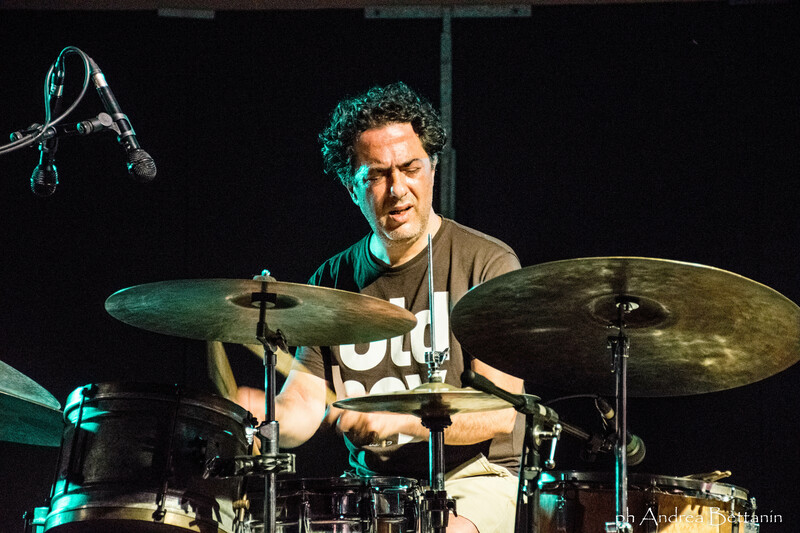 Over the last 15 years, he has been a member of numerous groups, including Silvia Bolognesi JuJu Sound, Emanuele Parrini Quartet, Bulk (Mauro Avanzini and Gabrio Baldacci), Roundtrip Trio (Piergiorgio Pirro and Matteo Anelli), Tony Cattano Naca Quartet, Piero Frassi Trio with whom he recorded with Phil Woods and Lee Konitz, and Riccardo Zegna Trio and Sextet. ￼He has played with Steve Lacy, Horace Parlan, Michael Moore, Pierre Drevet, Massimo Urbani, Bruno Tommaso, Enrico Pieranunzi, Giovanni Tommaso, Gianni Basso, Ed Newmaster, Raul Sidik, Ikue Mori, Gegé Telesforo, J.D.Hallen,Eddie Henderson, William Parker, James Newton, Phil Markowitz, Vic Juris, Stefano Battaglia, Tino Tracanna, Tiziana Ghiglioni, Luca Flores, Rita Marcotulli, Paolino Dalla Porta, Gianluca Petrella, Ares Tavolazzi, Gilad Atzmon, Flavio Boltro, Rob Brown, Lewis Barnes, Sabir Mateen, Oum, Rosario Giuliani, Franco Cerri.